Introducing Lucy Platt Guest Blogger. 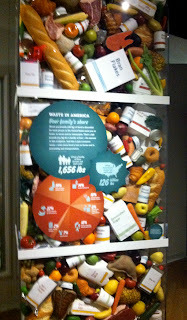 I went to the American Museum of Natural History. 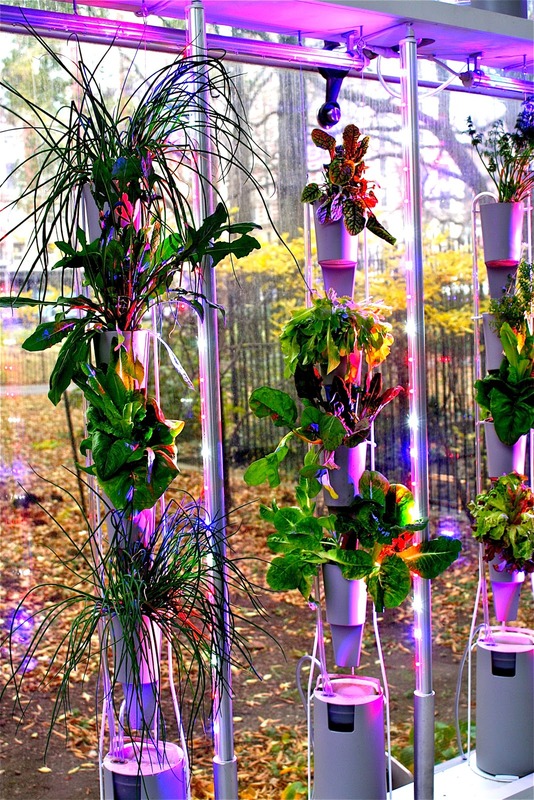 I saw the plant exhibit it showed how you can grow plants in a apartment. there were all sorts of plants.chives, cabbage and all sorts of other plants they had growing there. In the other plant and food exhibit there was a "reguler" water melon and a sqare water melon the sqare is grown by puting it in a box when it as just a small fruit but you must keep it on the vine until you are ready to eat it. 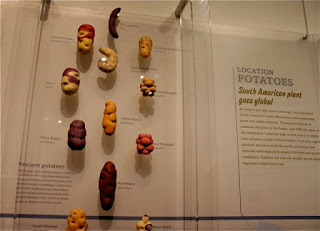 Potatoes come in alot of shapes, colors,and sizes there are pink, purple, red, yellow, and alot more. 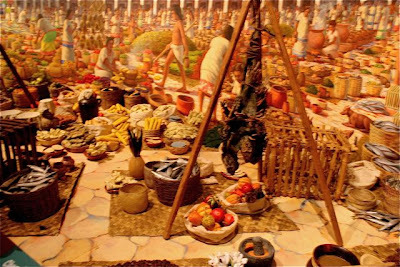 Back in the olden days before they had any supermarkets they would use just an out door flat spot and they would set up what we call a farmers market all the people would go around and get all that they needed for there families. Hi there! 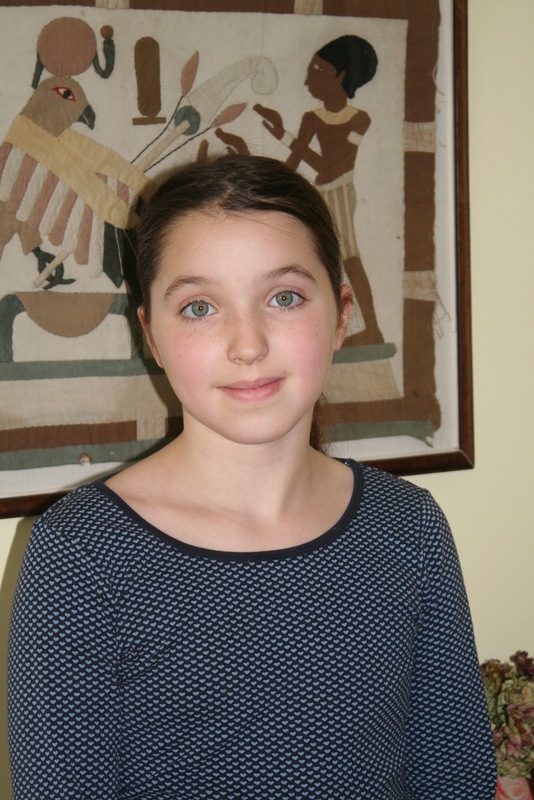 Guest Blogger Annabelle Platt here today! I went to the American Museum of Natural History. 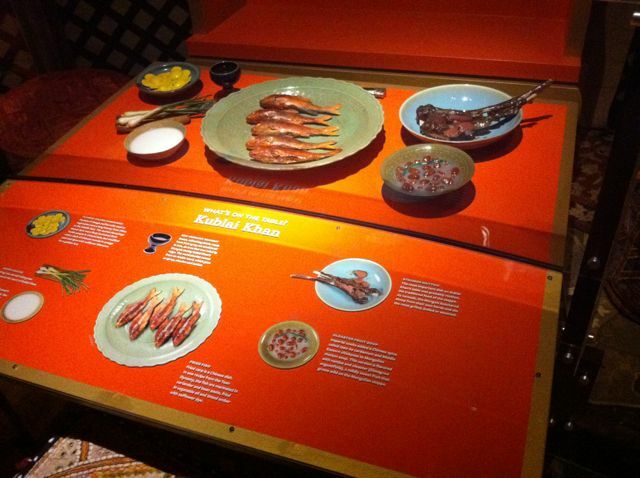 There is currently an exhibit there called the "Global Kitchen." It's about how people grow and eat food around the world, how agriculture has changed, and about the rising problem of too many people and not enough food. But over-producing is also a problem. For example, fishermen have been taking the fish from the seas. Obviously, they want the big strong fish, not the puny one that'll feed maybe half a person, right? But they have taken so many of the big fish that most of the ones left are little and under-developed. It's a big problem. 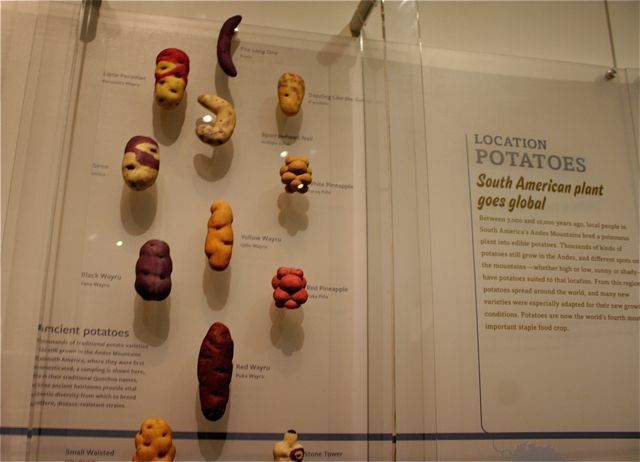 Talking about how agriculture has changed...well, now scientists can cross-breed DNA. Maybe they like how this plant grows quickly. Maybe they also like how this plant that grows really slowly is really crunchy and sweet. They can take characteristics like that from plants and breed them together, so they have two things they like in one plant. You know how berries always look smaller in the wild? That's because farmers are going to plant the biggest seeds from the previous year, so they get bigger berrries. Melons? The original melon was very small and hard and bitter. Overtime they have become big balls of water and sugar (plant sugar, not artificial sugar.) Gardeners can even make watermelons square! Waste. Geez, you don't even want to know how much an average person throws out in a year. I'm going to tell you anyway. 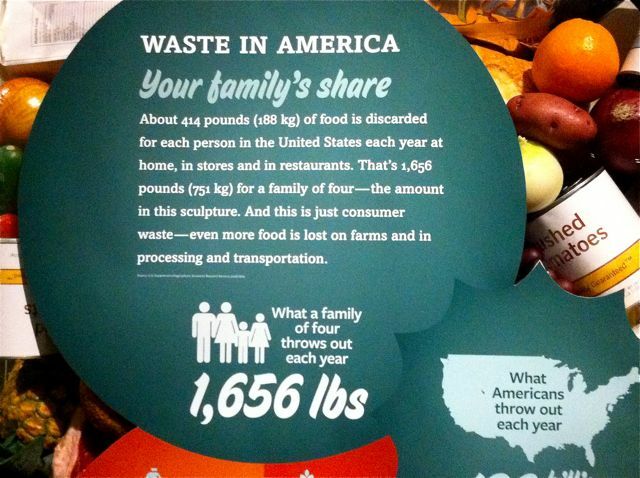 The average person throws away/discards 414 pounds of food per year. For a family of four? 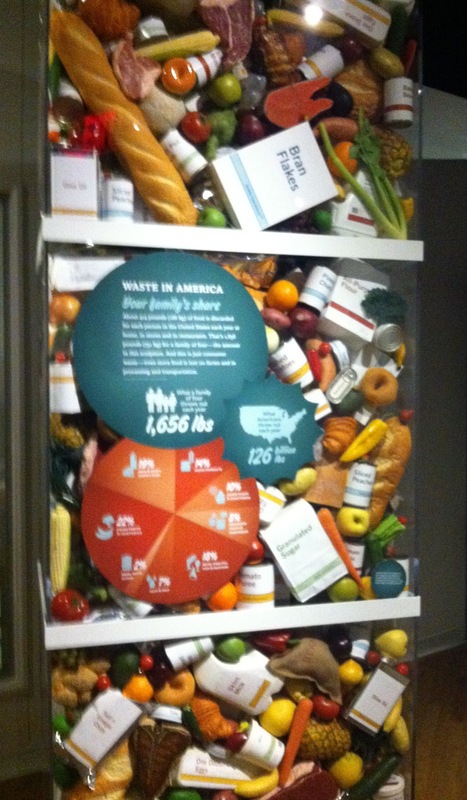 That's 1,656 pounds of food. That's a LOT. So next time you're looking at the menu and thinking I'm gonna get the double cheeseburger with extra fries, maybe the thought that crosses your mind next could be Am I really going to eat all of this, or am I just going to throw it away? Nice posts, Anabelle & Lucy. I have a question: In the picture showing the plants growing indoors, do you remember what kind of lights are being used as grow lights? They look very purple. Are they LEDs? Leila said "What fun. I loved it." Betsy says: "Lucy and Annabelle they are excellent reviewers/reporters. If I were in NYC I'd get to the Natural History exhibit as quickly as I could. It sounds and looks fascinating. 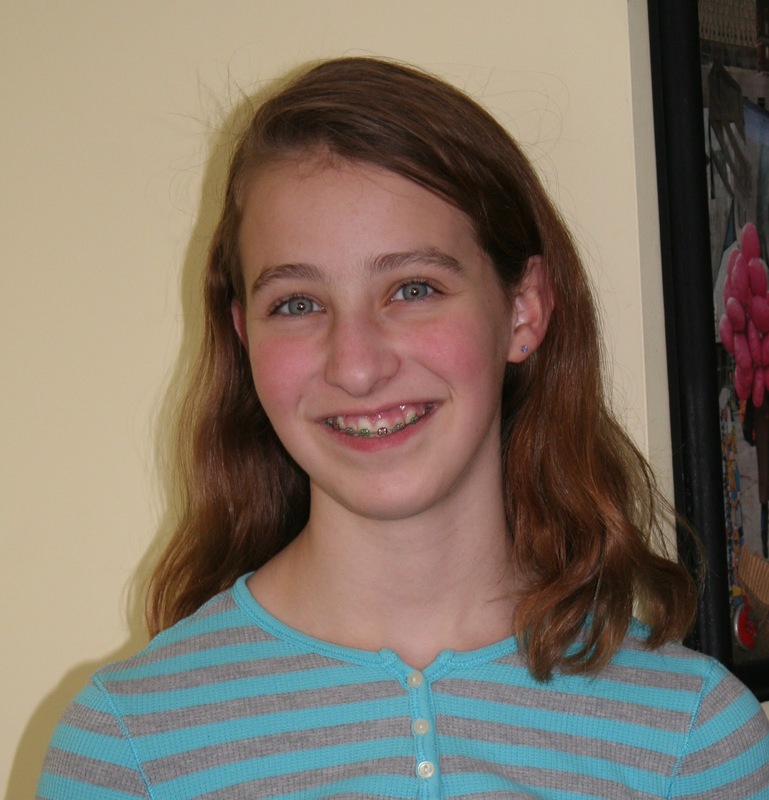 I think I could learn a lot.I vote for more guest blogging from this young team." This is excellent and very useful. Growing plants indoors are much more convenient because of some living in apartments and condominiums. 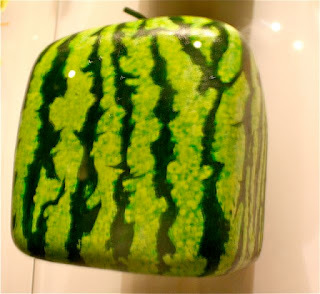 That square watermelon is so cool and interesting. I would love to try growing some. Good info, thanks. The square watermelon is very cool,I wonder how well it cuts?